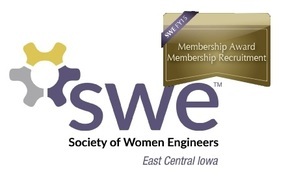 Want to make an influence on the next class of Engineers? 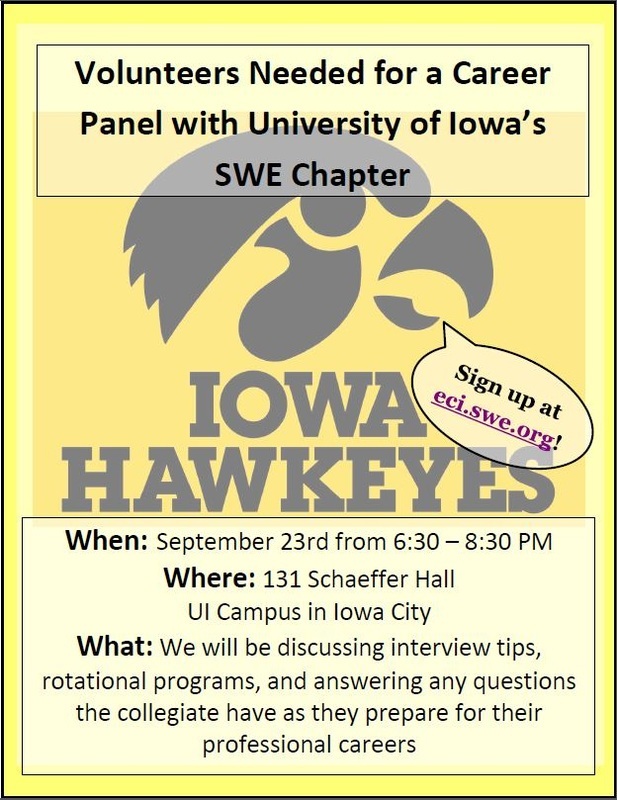 Join some of the other professionals in the East Centr﻿al Iowa S﻿﻿ecti﻿o﻿n for a﻿ Caree﻿﻿r F﻿air Panel for The University of Iowa SWE Collegiate Section, as they prepare for the Fall Career Fair!﻿ We will﻿ be discussing interview tips, rotational programs, and answering any questions the collegiate members may have, as they prepare to develop their Professional Careers! Come share your experiences and provide advice for the next class of Engineers! Where: 131 Schaeffer Hall, The University of Iowa, Iowa City, IA. - See the map below. Please register using the form below! Once registered, you will receive an email confirmation. From the North: Take 380- S to I-80 and take it East to exit 244. Turn right at the end of the off ramp. Follow Dubuque St., and turn right onto Church St. (Church St. turns into Clinton St). Follow Church (Clinton) through downtown. Once you pass E. Washington St., watch for the entrance to a parking ramp on the right side. If you hit Burlington St. (Hwy 1), then you passed the entrance. In this case, turn right on to Burlington St. Go one block and turn right on to Capitol St. The parking ramp will be on the immediate right after turning on to Capitol St., as well. It is easiest to walk through the Old Capitol Mall from the parking ramp to get to E. Washington St. Once you cross E. Washington St., then you will be standing immediately next to Schaeffer Hall. Meter parking is also available throughout downtown. It is free after 6pm.